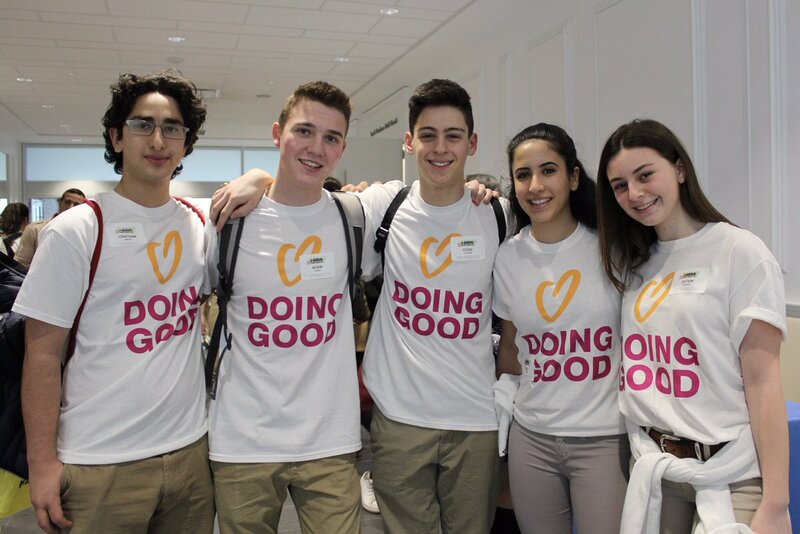 Teens from Ontario doing good on Good Deeds Day 2017. We are filled with hope every time we hear about youth taking part in Good Deeds Day and doing good all year round. Luckily, this happens rather often. With 75,000 scouts volunteering in Argentina, The ROCK Center for Youth Development, dozens of youth-movements and hundreds of schools around the globe, there’s no doubt Good Deeds Day 2017 was full of inspirational teens doing incredible work. 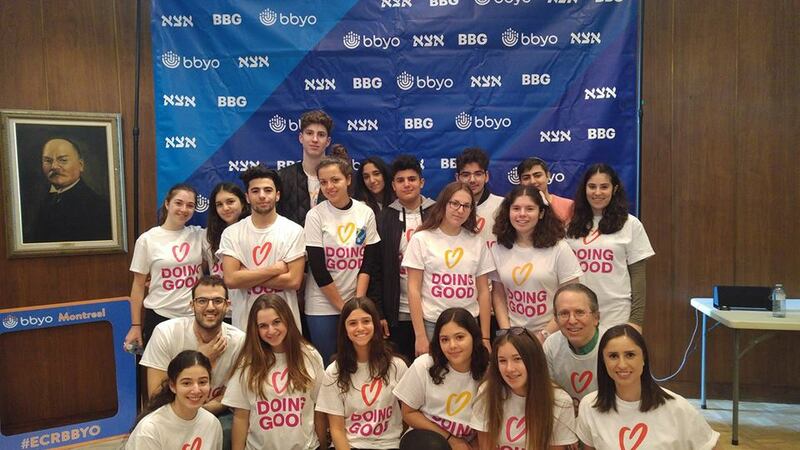 Delving into their world, today we’d like to show you some insights into J-Serve, an International Day of Jewish Youth Service dedicated to doing good, which we partnered with on April 2nd. We got to ask Jed and Nicci, BBYO emissaries, a few questions about J-Serve and Good Deeds Day in their community. Tell us about your role in BBYO. How does J-Serve fit within your role? Jed: Specifically with J-Serve, I work with my counterpart network to ensure that J-Serve programs are happening and to also make sure that the programs are well-run and organized. Nicci: This J-Serve, Jed and I served as the teen liaisons and adapting it to every community respectively. We are eager to hear about the impacts BBYO teens continue to make through meaningful service. The role of Sh’licha (emissary) puts a special emphasis on the Jewish roots of the organization, and thus the values of Tikkun Olam and Gemilut Chasadim (World Repair and Acts of Kindness) that J-Serve was founded upon remain an integral part of the position. 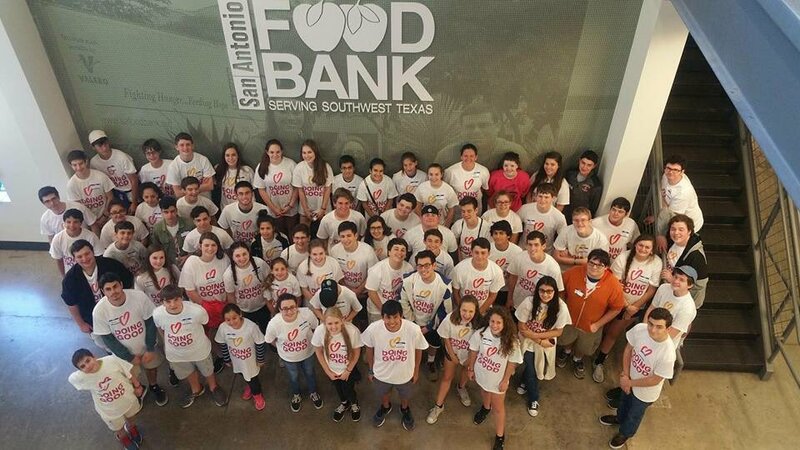 Dozens of teens volunteer at the San Antonio Food Bank. Why do you believe J-Serve is important? Jed: In today’s world, with antisemitism on the rise, our actions as the Jewish people are being criticized more heavily. More than ever, it is important that we show our true values of Tzedakah (charity) and Tikkun Olam (world repair) because the world needs to see it. J-Serve provides us as the Jewish teens the platform to make change. How do you feel that teens are uniquely poised to make an impact on their communities through service? Nicci: Teenagers are so often underestimated due to fallacious stigmas. Ironically, it is because of these stigmas that so many (myself included) feel empowered to act, to prove that young people can and will affect change. To be able to come together in service will not only inspire others to do the same, but set a precedent. Teenagers can provide a unique perspective on issues facing us today and, while our stature may be small, there is no undermining of the teenage voice– it IS powerful and it will be used positively and meaningfully. 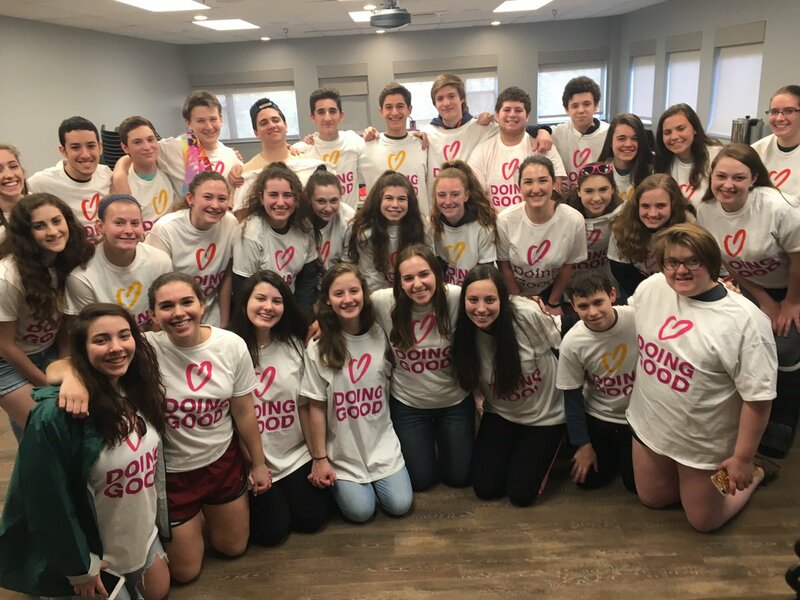 BBYO North Virginia coming together on Good Deeds Day 2017 to volunteer. What is your favorite J-Serve memory? Jed: Every year in Dallas during J-Serve, there is a 3 on 3 basketball tournament benefitting Students Against Terrorism. One year, I wasn’t planning on playing but that morning, one of my good friends called me and asked me to play for their team. That day, I was super fortunate to not only enhance my friendship through basketball, but to benefit to a good cause. 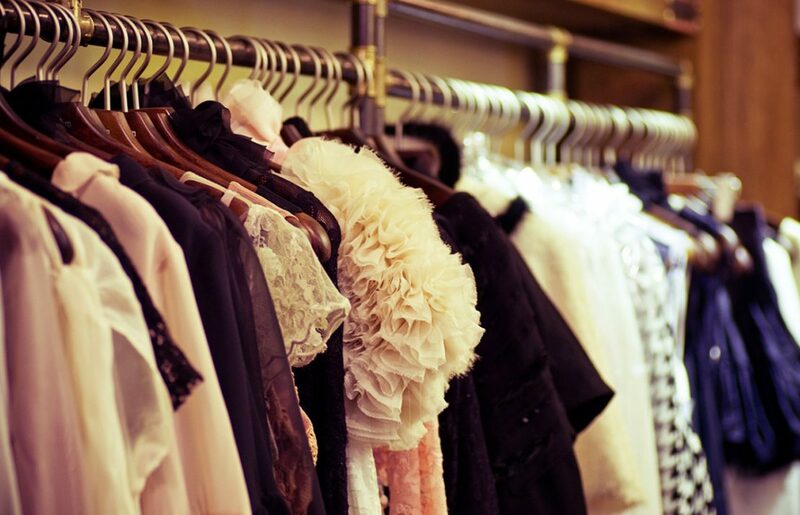 service individually. Hearing my fellow teens pledge to provide aid to those in need and contribute to the solution of global issues not only inspired me to pursue my role in BBYO with pride and commitment, but proved that the value of a united group of Jewish teens should not be underestimated. 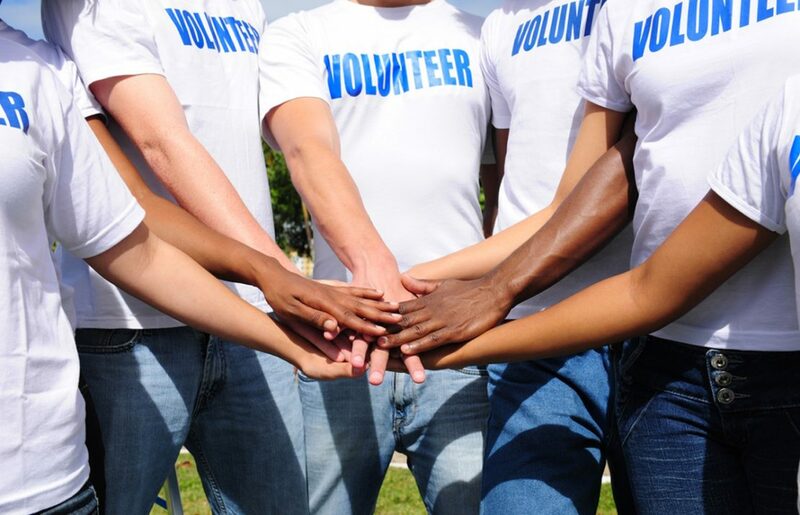 What advice would you give to teens who want to get involved with volunteering but don’t know where to start? Nicci: I would recommend looking into causes that are meaningful to you, or doing some research on issues relevant to your community. Most organizations are eager to have an extra set of hands and are excited about youth engagement, so don’t be shy to reach out and ask questions. Also know that there are so many different elements of service, so whether its advocacy, philanthropy or directly volunteering, there are ample opportunities for you to get involved and the world is yours– so don’t hesitate to make an impact! Jed: I think the most important thing to do is figure out what your are passionate about. In order to do truly meaningful service, there has to be a stronger intention then just wanting to do something. Good Deeds Day 2017 celebrated in Montreal. 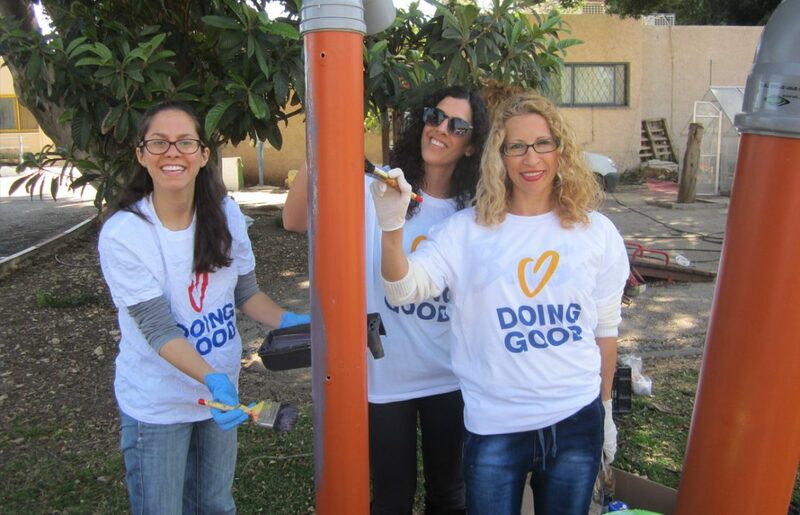 What did you do on Good Deeds Day 2017? Jed: This year in Dallas, we have 13 projects going on concurrently. I am super excited to participate in the 3 on 3 tournament. Nicci: Denver celebrated Good Deeds Day and J-Serve with a couple different projects at once, including making bookmarks and donating books to refugees, making sandwiches for the homeless, decorating windows for grieving kids at Judi’s house and, on top of that, an advocacy track where teens wrote letters to local representatives about issues that they felt were important. I hope that the impact of these projects continue to extend beyond J-Serve and will further encourage teens to contribute to the solution of problems, speaking up for what they believe in and aiding those in need.